Emmitt has two friends in Oklahoma. One is a five -month old blue great dane named Stevie (he was born blind). 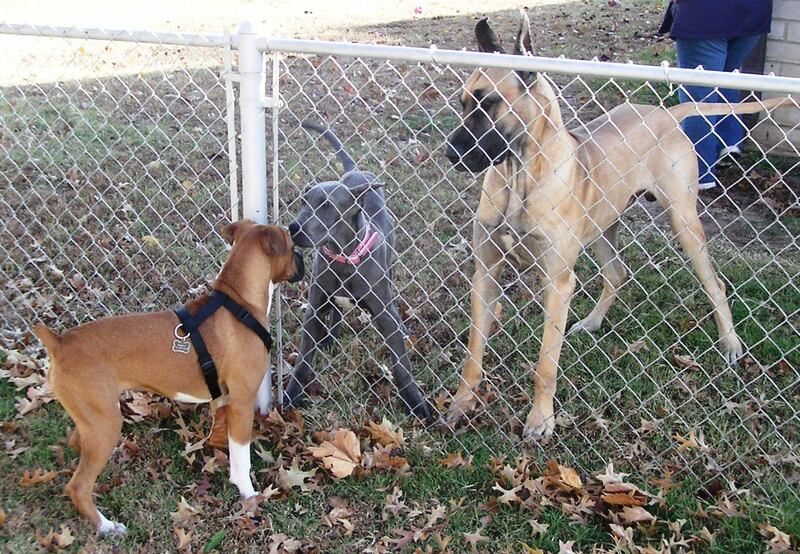 The other is a year old fawn great dane named Otis and outweighs Emmitt by 100 pounds.